Combat is your means of destroying enemy fleets and taking over enemy planets. 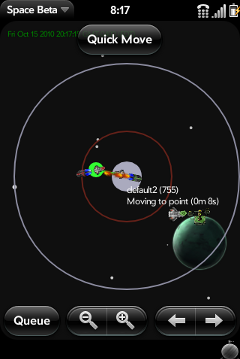 When ships, planets, or turrets come within the red circle of each other, they are in combat. You can tell if they are in combat by watching for the projectiles they shoot or zooming in on them and noting the combat notification. The only action a fleet in combat may perform is to change stance. A planet in combat cannot perform any actions. A fleet or planet is not considered to be in combat if it is being attacked by a turret and it is not in range to attack the turret back. In this case, the fleet or planet can still perform actions. Each ship and building has a damage rating and an armor rating that contributes to the overall fleet or planet ratings. The damage rating is expressed in damage dealt per hour. In the screenshot to the right, there are 3 fighters in the fleet, each with a 6 damage per hour rating, giving the fleet a total of 18 damage per hour. Note that the damage shown does not take into account “congestion,” nor does it include bonuses that some units, such as capital ships and bombers, get. Planets whose buildings have all been destroyed may be colonized by other players. If all of a player’s ships and buildings are destroyed, that player is eliminated from the current game. You will not enter combat against fleets or planets owned by an ally. As ships and buildings take damage and are destroyed, they will be removed from their fleet or planet. For fleets that are receiving damage, damage is allocated to ships in the order in which they are displayed when zoomed in on the fleet, with the lead ships taking damage first. 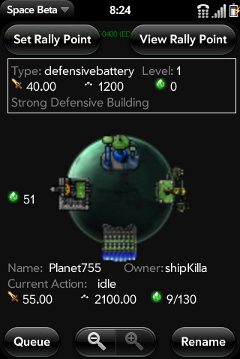 There are two exceptions to this rule: (1) penetrators can deal damage to the ships behind tanks, making them useful to take out weaker ships, like missile ships. (2) Destroyers target capital ships directly. 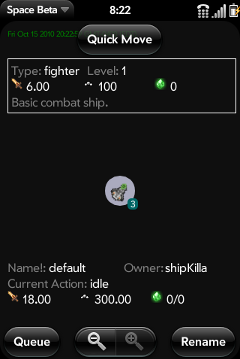 If you have ships of the same type but different levels in a fleet, the lowest level ship of the type will take damage first. If a fleet that is destroyed was carrying resources, the unit that destroyed it will gain those resources, if that unit has space available to carry the resources. 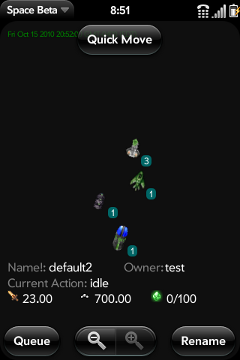 For planets, when buildings are destroyed and the planet is taken over by another player, the resources on the planet are not affected, so the new owner will have access to any resources the previous owner had not spent.